From kids to superheroes to ghost hunters to graffiti artists, this fall's freshman series have brought forth a number of new faces that should keep the next few months of TV interesting. Every year, the new fall TV lineup not only features established performers, but new talent on the verge of being truly embraced by the mainstream. 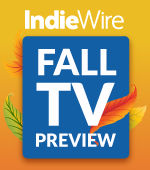 IndieWire has identified 17 of those relatively fresh faces poised to break out from this year’s crop of freshman comedies and dramas. Not everyone on lists like these goes onto blockbuster success, but one of the most exciting things about new shows is discovering emerging talent — and what they’re capable of. In past years, we’ve seen new stars emerge on shows across the spectrum of platforms, and in 2017 we have our theories who might end up being the stand-out performers for this season. Important note: Because this list is humans-only, we tragically omitted giant teleporting puppy Lockjaw, from “Marvel’s Inhumans.” As soon as we have the time to celebrate all the great CGI characters currently on television, Lockjaw’s a lock. The majority of the screen time we get with British actor Adeel Akhtar in “Ghosted” is dominated by a remarkable level of wackiness — but he’s a BAFTA winning actor with a long history of work in the UK, meaning that his skills range far beyond comedy. His unique and fresh energy, especially when playing against the well-established types of Adam Scott and Craig Robinson, is one of the standout performances of the premiere, making him a British talent who might be ready to truly cross over to international stardom. “American Vandal” is one of the best-cast projects in recent memory. Not one member of this “Who Drew the Dicks?” saga seems out of place. But the two young men at the front of this scripted docuseries are what really help drive the story home. As the accused Dylan Maxwell, Jimmy Tatro is an incredible blend of blusterous bro and self-evaluating defendant. He delivers Dylan’s dumber moments with the same ease that he plays the character in dumber moments. Behind the camera, Tyler Alvarez as Peter Maldonado helps to ground this intricately woven satire in some real emotions. You buy him as a pursuer of truth rather than a simply a high school junior. If/when this series spreads through the ranks of true crime fandom, these will be two actors who deserve a large share of the credit. You know him from “Broad City,” most likely, but did you ever imagine that Ilana’s sweet-natured roommate Jaime could also play, as described by executive producer Eric Newman to IndieWire, the “King Joffrey” of “Narcos” Season 3? Likely not. Yet Arturo Castro left us simultaneously horrified and fascinated by the level of violence he might commit; the only thing more shocking than his violent acts was the seemingly innocent face behind them. The young actress has come a long way from the days of wearing pointe shoes on the short-lived “Bunheads”: Since then, she’s appeared on NBC’s “Aquarius” and as The White Lady on Syfy’s “The Magicians.” For Fox’s “The Gifted,” Dumont portrays Lorna Dane, a woman with powerful control over the force of magnetism that can be used to frightening effect. But in a world which hunts down mutants, Lorna must join others like herself on the run. In a role that combines physicality and emotion, Dumont makes Lorna a completely captivating character, one who is full of rage, bravado, and desperation, and yet still has a youthful sweetness and resilience. Despite having some of the most gorgeous landscape photography ever put on TV, “Top of the Lake” is essentially about trauma: what happens when we try to forget, what happens if we dig up the past, and what happens when the past manifests itself in ways we can’t ignore. In the second season of Jane Campion’s nothing-else-like-it detective story, Alice Englert’s character is all of those questions in human form. As Mary, the daughter that Detective Robin Griffin (Elisabeth Moss) put up for adoption a decade and a half prior, Englert represents that push and pull of personal history in human form. Campion’s work doesn’t always lend itself to big, showy acting moments, but through the knowing glances and unspoken connections that often bind these characters together, Englert shows that she’s an actress who can hold her own with some of TV’s powerhouse actresses. Loyal IndieWire readers should hopefully be familiar with Sarah Gadon’s work, as her impressive talents have been utilized for years in the independent film world. But “Alias Grace,” the Netflix/CBC adaptation of Margaret Atwood’s period novel about two infamous murders from the 19th century, looks likely to give her a showcase role about women behaving badly, and why a servant might choose to take action against her employers — not to mention the societal prison she lives within. This isn’t Kimberly Herbert Gregory’s first high profile role — working actively for the past 10 years, she’s had notable guest star roles in shows like “Better Call Saul” and “Brooklyn Nine-Nine,” and most recently held her own in HBO’s “Vice Principals” against the combined comedic forces of Danny McBride and Walton Goggins. But her new role as series regular Yvette in ABC’s “Kevin (Probably) Saves the World” could be her real introduction to a mainstream audience, as she aims to subvert the sorts of stereotypes that might surround a mystical figure played by a person of color to truly help guide co-star Kevin (Jason Ritter) to salvation. “She’s not angelic. She has her own mission,” Gregory said during the Television Critics Association press tour. While it’s still unclear how that fits into the show’s own ethos, Gregory is a force to be reckoned with on screen.